What the SPNFamily is All About: Always Keep Fighting, Jared! It’s been an emotional rollercoaster of a week for the SPNFamily. The Supernatural season finale is tomorrow, and we had all watched Jared and Jensen and Misha and the rest of the gang onstage at Asylum (on video at least) in between gnashing our teeth and sobbing about Show. When Jared tweeted that he was in desperate and urgent need of his family and had to head home before JIBCon, and then asked fans for a few seconds of time to write him, tweeting that “I need all the love I can get right now,” fandom responded by coming together in a way I don’t think I’ve ever seen before. We’ve followed and written about this amazing fandom and Show for almost a decade, and have seen countless examples of fans supporting the Show and the cast and crew and each other – but not on this scale. I’m still in awe. Jared’s colleagues immediately expressed their outright support, verbally and on social media. @amellywood: Hey @jarpad. I got you. @TravisAaronWade: For our friend @jarpad Hoping this warms your heart and puts a smile on your face brother (then he posted a little vid clip). @mishacollins: @jarpad Love u man. This week is the Popular Culture Conference in Chicago, which means I get to hang out with other academically inclined folks and have deep discussions about some of my favorite things – including fandom, the reciprocal relationship between fans and the things we love, and of course, Supernatural. That doesn’t leave me much time to do a review of this week’s episode (so this will be a briefer review than usual). But Robbie Thompson sure as hell gave me a lot to talk about! We’re quoting Supernatural writer Adam Glass in that title – but we’re also feeling very lucky to be part of the SPN Family today. For those of you who missed it, there has been a lot going on in the Sherlock fandom for the past few days, after a journalist at the screening of the new season printed out some racy Sherlock fanfic and then got the show’s stars to read it aloud, apparently trying for some cheap laughs at fandom’s expense. (Ironic for a television show that is itself – literally – fanfiction). 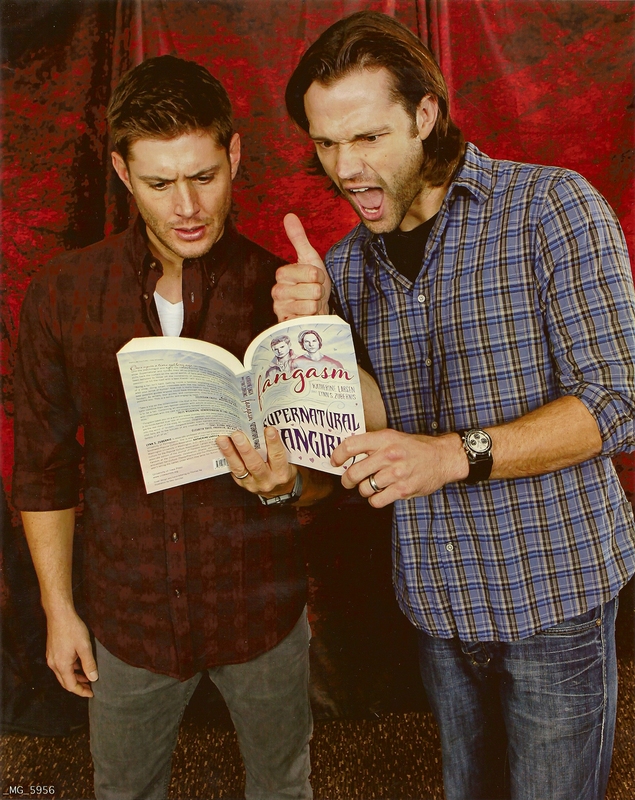 We’d be the first to stand up and say that fans shouldn’t be ashamed of however they participate in fandom – that’s the whole point of Fangasm: Supernatural Fangirls after all – but it wasn’t the fan author’s idea to share and in fact she was mortified. We reached out to her and offered to send her a copy of “Fangasm” and “Fandom At The Crossroads” – which she graciously said she appreciated but wanted to purchase for herself in fannish solidarity. We wish we could send a copy to the entire Sherlock fandom! The Sherlock actors were respectful (unlike the journalist), but the whole kerfuffle got us thinking about how much the Supernatural cast has embraced the fandom – how much they respect their fans, how the term “SPNFamily” is used by the cast and crew and writers as much as it’s used by the fandom. 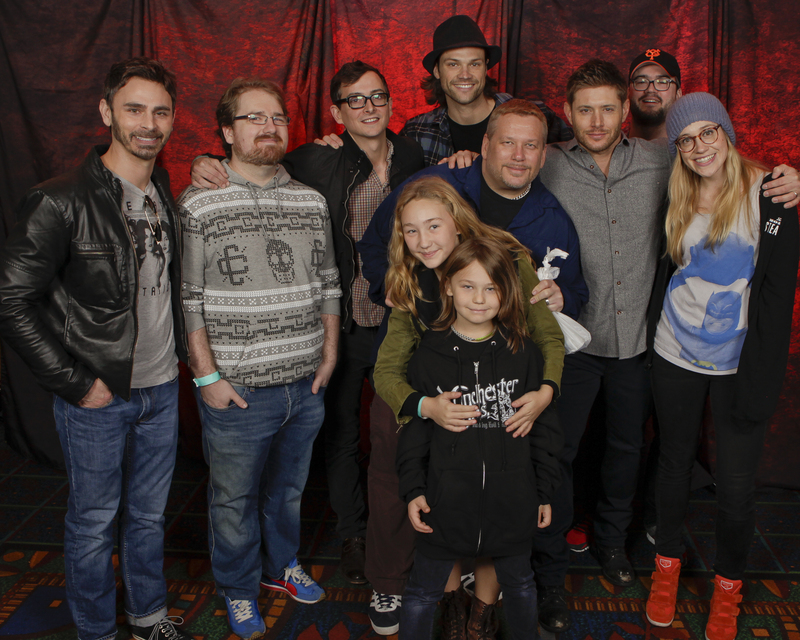 We thought about Jared’s words at Burcon about how fandom lets us all be ourselves, that we shouldn’t let anyone else tell us what to like; Misha’s joyous and inspiring way of bringing us all together to do good in the world through Random Acts; Jensen joining fans and family in this year’s Buddy Walk for Downs Syndrome in Dallas; Osric cosplaying along with fandom and writing his own Kevin Tran fanfic; Kim Rhodes’ passionate defense of the Sherlock fan and all fans; the writers, actors, producers and crew members –virtually everyone involved with the show — joining fandom for live tweets of episodes. We’re lucky – and so are they. And I think we all know it. Couldn’t have said it better, Adam. 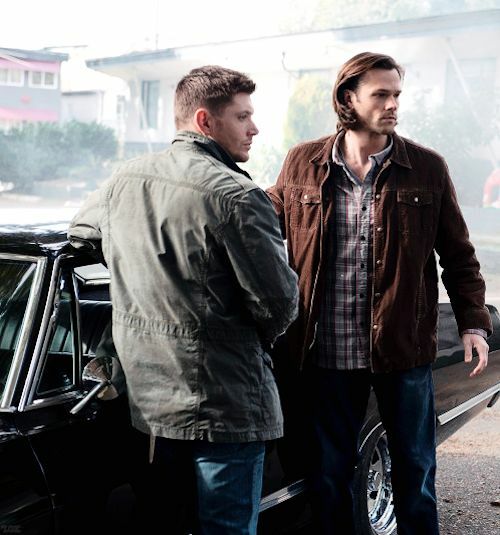 Of course, if you’re reading this blog, you already know what Supernatural is all about. That makes you – and us – some of the lucky ones. 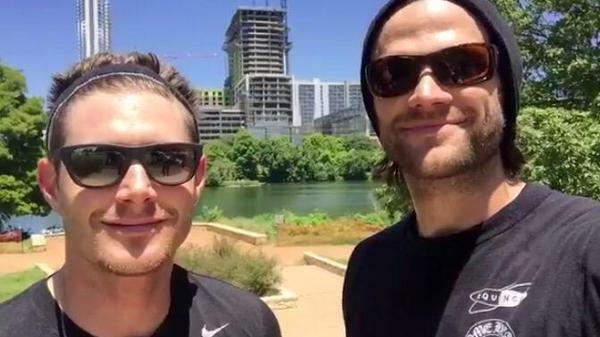 Celebrating Fandom – Jared’s Passionate Words, Fans’ Feedback and a Special Fangasm Sale! Happy holidays from Fangasm! Whatever other holidays you’re celebrating this season, we hope you’re also celebrating what we all have in common – our love of Supernatural. And we hope you’re celebrating something else that we think is unique, special and important: Fandom.